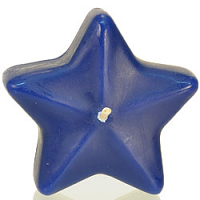 Our star floating candles come in two sizes and colors of red, white, and blue. 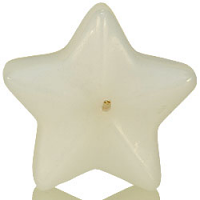 These star candles are perfect for decorating around the patriotic summer holidays. Mix sizes and colors together in your floater bowl to make unique displays. 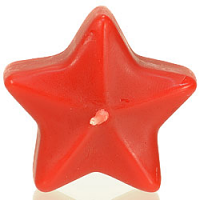 These unscented star shaped candles have no fragrance in them so they will not interfere with the taste of food at your parties. The small floating star candles will burn about 4 hours and the large ones will burn about 6 hours.